Forum Index > Off-topic Talk > Visiting the Frazier 1/16? Posted: Fri 30 Dec, 2005 10:18 am Post subject: Visiting the Frazier 1/16? I'm thinking about making another trip down to the Frazier and wanted to see if there was any interest from other forumites to go down their together or meet down there. I'm looking at 1/16/06, which is a Monday, but also Martin Luther King Jr. Day, a holiday for some businesses and many schools. Sounds like fun. If I can juggle schedule it would be cool to go. I'll see if I can get off from work. Sounds pretty cool. I didn't even know this place existed. Anyone else up for a trip to Louisville? Joe, were you able to juggle things around? If so, shoot me an email and we can work out details. I won't know for a couple of days. I have a large school assignment due on the 17th. If I get a good jump on it this week I should be able to, but if I don't I'll doing homework all day Monday. Is it acceptable if I try to get confirmation to you by Wednesday night? Whenever you know is fine. Not a big deal. Probably not going to be able to make this one. Had some unexpected family things come up and now I'm behind on schoolwork. Looks like I'm going to end up using yet another extended weekend writing term papers. I really need a barf emoticon!! 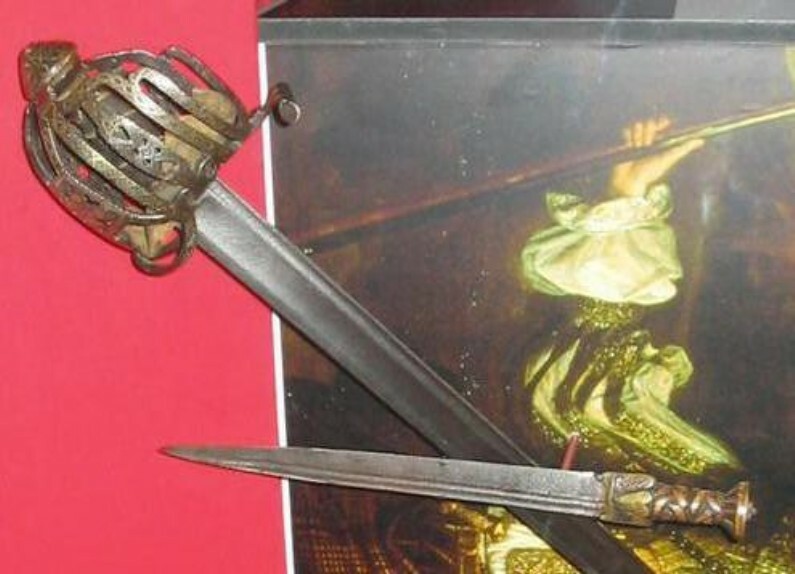 Any detail shots you folks could get of the Scottish weapons would be appreciated ! I checked: they are. It's a gov't/bank holiday, but many businesses are still open. The museum only closes on Christmas and Thanksgiving. Sadly I'm not going to be able to make it Monday Have fun guys. take some shots of the 15thc stuff for me! Nice shots of those 2 baskethilts, Chad ! Here they are next to the photos Mazansky took for his book ! 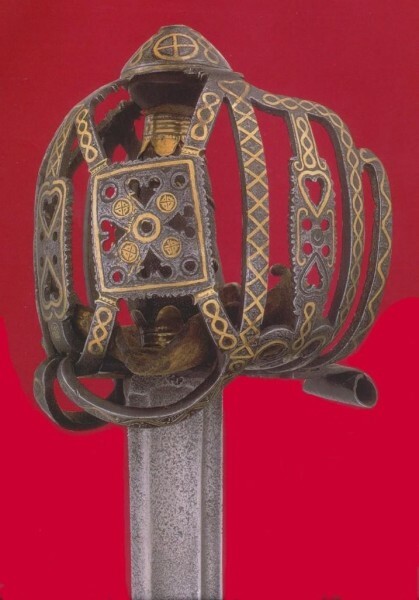 The only known hilt signed by AC, which has been attributed to Alexander Cameron (1743-76) of Glasgow. 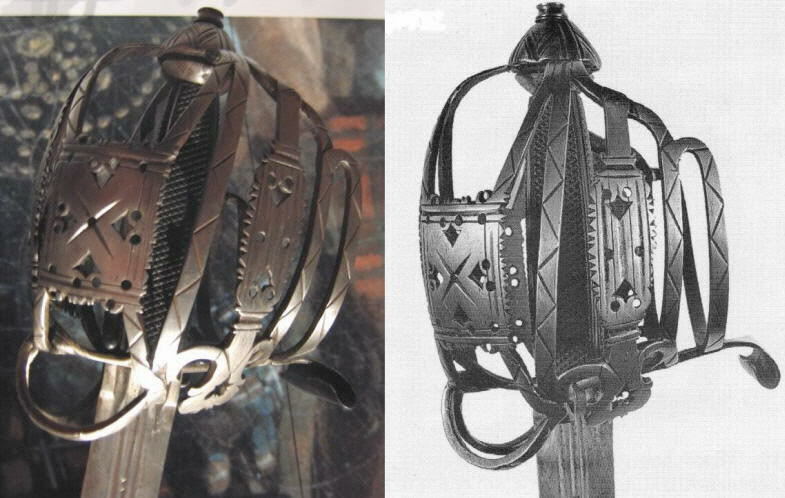 * Royal Armouries IX.830 is an identical hilt. I figured you'd dig some of those things. It was cool to see. 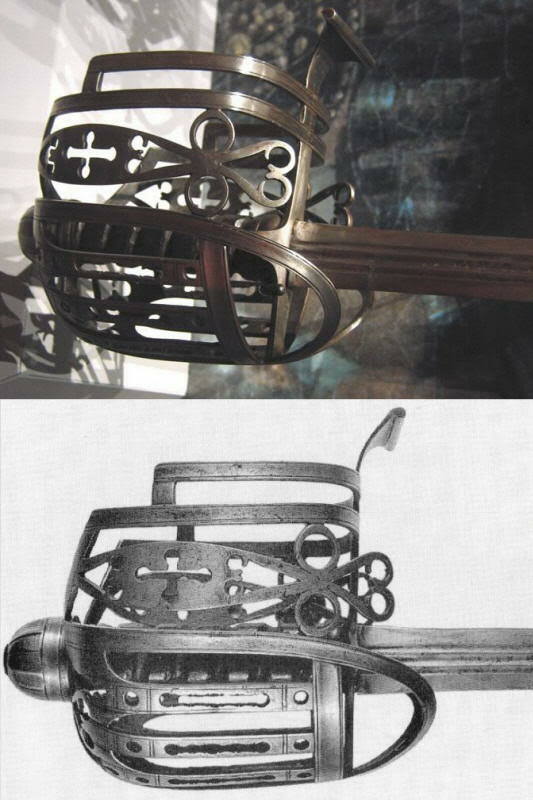 By the way, was that brass inlaid John Allan basket-hilt (IX-958) still on display there ? I don't remember seeing that one (and I wouldn't have forgotten something like that ). Was it supposed to have been on display at the Frazier? I don't remember seeing that one (and I wouldn't have forgotten something like that ). Was it supposed to have been on display at the Frazier? Yes, at least it was a year or so ago when one of our members, Stephen Fisher, took this pic ! Enjoy your trip. Get some good photos for us! Try not to be too Eurocentric.